Charlie Whiting watched his first motor race when he climbed over the fence to see the 1964 British Grand Prix, held at Brands Hatch close to his family home. He came to working in motor racing himself through his older brother Nick, who was competing in autocross and circuit racing. Having decided to follow a career in race engineering, he visited a technical college and then the Borough Polytechnic Institute, earning qualifications in mechanical engineering. Whiting's first job in motor sport was preparing rally cars. In 1976, he and his brother were running a Surtees in the 1976 British F5000 series for race driver Divina Galica. For the 1977 season Whiting joined Hesketh Racing. Following the demise of the team, he joined Bernie Ecclestone's Brabham team, where he would stay for the following decade, becoming chief mechanic for the World Drivers' Championship successes of Nelson Piquet in 1981 and 1983 and later rising to chief mechanic. In 1988, Whiting became Technical Delegate to Formula One of the sport's governing body, the Fédération Internationale de l'Automobile (FIA), and in 1997 he was appointed FIA Director and Safety Delegate. In this role, he was responsible for track and car safety, the technical and procedural regulations of the sport and for starting the races themselves. He served as lead official at every Formula One race, being in charge of everything related to rules and their interpretation. Whiting also visited future and current venues of Formula One racing to carry out safety inspections. Whiting was known for safety improvements in motorsport, such as the halo, which was credited with preventing Charles Leclerc from suffering serious injury at the 2018 Belgian Grand Prix. He was also responsible for introducing the headrest, safety survival cell, front and side impact structures and high cockpit sides. 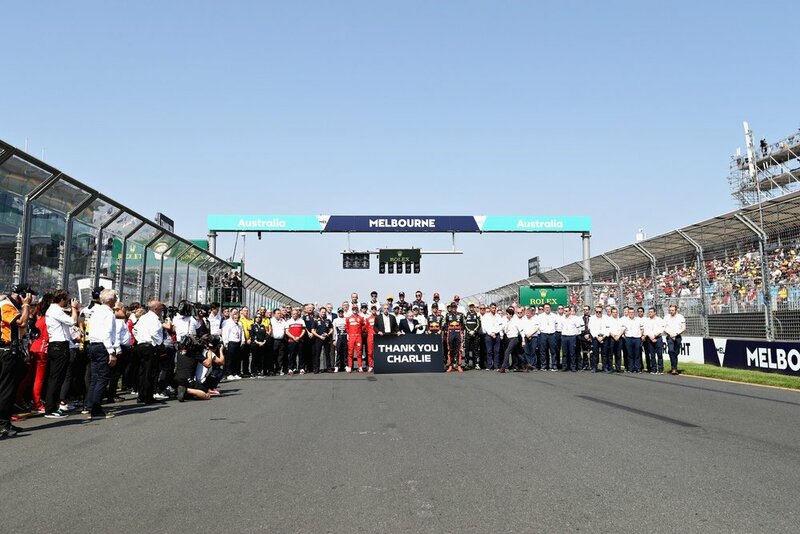 On the morning of Thursday 14 March 2019, in Melbourne, Australia, three days before the season opening Australian Grand Prix and 2019 Formula One season, Whiting suffered a pulmonary embolism and died, aged 66. Charlie Whiting and Gordon Murray working on Nelson Piquet's Brabham at the 400th F1 race - the 1984 Austrian Grand Prix.